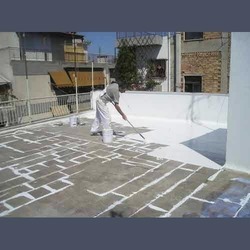 We are a leading Manufacturer of elastomeric coating, roof elastomeric coating and elastomeric coating service from Thane, India. We offer our clients Elastomeric Coating, which is based on the modified acrylic latex and is useful as coating over expansion joints. Ugam Elastomeric Acrylic Coating Product has 300 percent elongation at break thus used as water proof coating for terraces. These are also known for excellent weathering properties too and when used with Ugam base coat and Ugam elastomeric Acrylic primer. 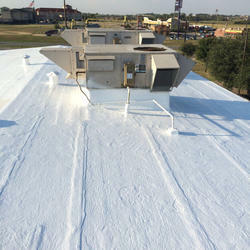 Valued as first among the best, we provide patrons with the premium quality of Roof Elastomeric Coating . Used for exterior water proof coating of walls, the Elastomeric Coating is known for its excellent bonding capacity. 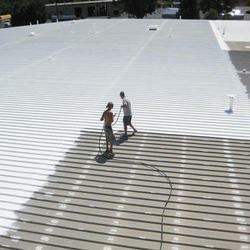 For Elastomeric Coating of commercial & industrial buildings and bungalows, the Elastomeric Coating is used. 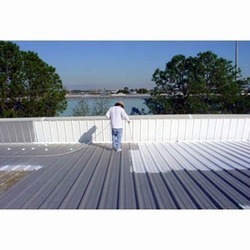 The Elastomeric Coating is known for its excellent resistance against carbonation and weathering conditions. Backed by highly accomplished personnel in this arena, we are offering Elastomeric Coating Service. A team of dexterous personnel works in close coordination with our patrons to impart these services as per their needs. Provided services are largely valued amid our patrons for their on-time execution. Our adroit professionals supply premium quality Elastomeric Coating. The offered coating is processed in the most suitable environment using the best quality chemical compounds with the help of ultra-modern techniques. This coating is used for coating on floors. As per the varied requirements of clients, we provide this coating in various packaging options at market leading price.